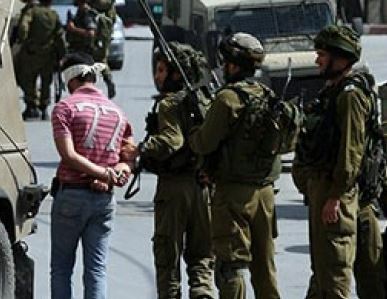 The Israeli occupation forces (IOF) at dawn Tuesday arrested three Palestinians during incursions in the eastern district of the city of Jenin and the towns of Jaba, Meithalun and Fandaqumiya. Local sources said that the Israeli forces raided the eastern district of the city of Jenin and arrested Uday B'ajawi, 20, then transferred him to an unknown destination after searching his home. They also arrested another young man from his home in the area. The sources added that the soldiers attacked the citizens during the raid. In Jaba village, south of Jenin, the IOF arrested a citizen after searching his house, and raided the house of another citizen and confiscated his personal computer. The troops also stormed a sheep farm, searched it and questioned its owner. 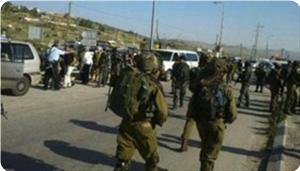 Israeli patrols raided the neighboring villages of Fandaqumiya and Meithalun at the early morning hours of Tuesday. Meanwhile, Israeli soldiers and intelligence officers stormed last night the village of Sanur and handed 15 young men summonses to attend the intelligence office in Salem camp, north of Jenin. 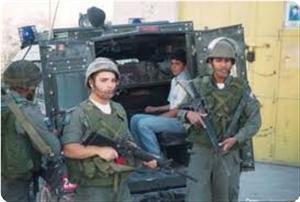 Locals said that the IOF arrested a young man after storming his house in the village and took him to an unknown destination. They noted that during the raid clashes broke out between youths and Israeli soldiers, who fired tear gas grenades causing dozens of citizens to suffocate. Dozens of civilians in Sanur village, south of Jenin, were treated for gas inhalation as Israeli occupation forces (IOF) used teargas in dispersing inhabitants protesting the raid. Local sources said that the soldiers also used rubber-coated bullets and stun grenades in the clashes that erupted last night and continued till dawn Tuesday. The sources said that the raid ended with the arrest of a 20-year-old youth and serving summonses to 15 citizens. Israeli occupation forces (IOF) razed a shed and a house in Fasayel Al-Fuqa village in the Jordan Valley on Monday. Local sources said that IOF soldiers stormed the village and razed the shed then tried to destroy a house but were confronted by citizens. The sources pointed out that the soldiers used teargas and stun grenades to disperse the protestors then demolished the house, adding that two women were injured in the scuffle. 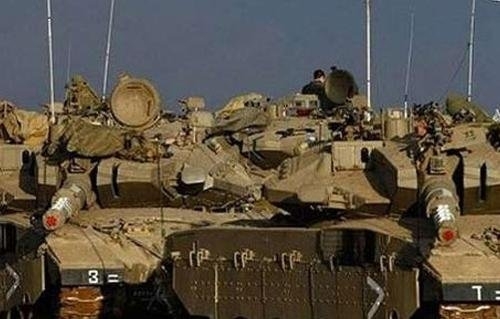 Israeli military vehicles penetrated into land, east of the city of Khan Younis in the Gaza Strip. Palestinian media outlets reported that Israeli vehicles stormed the area and soldiers randomly started shooting. Israeli occupation forces (IOF) raided southern Gaza Strip city of Khan Younis on Tuesday morning amidst heavy shooting. A field observer said that the soldiers were mounting nine armored vehicles and bulldozers. He said that the armored vehicles roamed the outskirts of the city. The source pointed out that the bulldozers were at the same time leveling land and setting up sand barriers to the east of Khan Younis. He added that warplanes and reconnaissance planes were also hovering over the area. The incursion is the latest in a series of violations of the calm agreement signed in November last year in Cairo. Six Palestinians were killed and dozens were wounded or arrested in the Israeli breaches of the agreement. Israeli forces Monday demolished a home and a shack and beat up five women, two of them pregnant in their last trimester, in Fasayel in the Jordan Valley, according to a local source. Hamza Zbeidat, who runs a non-governmental organization in the Jordan Valley, told WAFA that forces stormed the area, surrounded the house and demanded its residents to evacuate it. When the women refused to leave it, the force attacked them with rifle butts, fired tear gas and acoustic canisters toward the residents who formed a human shield to prevent the force from demolishing the home, causing three women to suffer from gas suffocation. The women were transferred to hospital for treatment and were reported in stable condition. The homeowner, Daifallah Rashaydeh, said that he has several orders by Israeli courts preventing the demolition of the house, which was built almost 10 years ago. Israeli forces raided the Jericho village of Fasayil on Monday and demolished residential and agricultural structures, witnesses said. Israeli soldiers destroyed a house and cattle farm belonging to Deifallah Rashayda and Jihad Rashayda, leaving 12 family members homeless. During the demolition, soldiers assaulted five women with the butts of their rifles, locals said. All five women were taken to hospital for treatment after being assessed by Red Crescent medics at the scene. Deifallah Rashayda told Ma'an that Israeli forces raided his home early Monday accompanied by bulldozers. Soldiers ordered him to remove all of this belongings from the property before the demolition. 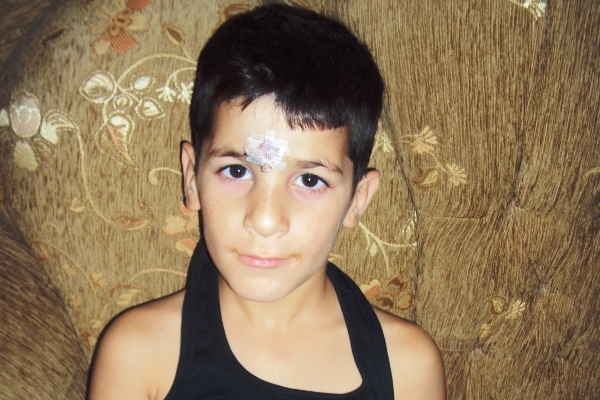 Israeli troops assaulted several family members after they refused to obey the soldiers' orders. The house was built ten years ago and Rashayda said he had precautionary orders from several Israeli courts to suspend the demolition. The cattle farm steel structure was built four years ago and he was not given notice prior to the demolition. Jericho governor Majid al-Fityani described the demolition in Fasayil as a "slap in the face for those who advocate the resumption of peace negotiations," while visiting the injured women in hospital. The senior official slammed Israeli polices in the Jordan Valley which "obviously aim to forcibly evacuate Palestinian citizens from their lands in order to build settlements." He appealed to President Mahmoud Abbas to allocate more support to the residents of the Jordan Valley so they can remain "steadfast" in the face of Israeli policies. The Israeli Occupation Forces (IOF) suppressed a Palestinian peaceful march in al-Khalil against the Israeli settlers' attempt to confiscate a Palestinian building in the area. The participants tried to enter into Rajbi family's building in order to protect it from the settlers' scheme however the Israeli soldiers, deployed in the area, prevented them from having access to the house. The participants held the Palestinian flag and banners demanding an end to the Israeli settlers' presence in al-Khalil, chanting slogans against the Israeli confiscation and Judaization policy against Palestinian properties. National forces’ representatives and foreign activists participated in the march. The Israeli settlers had occupied the Palestinian house which consists of 4 floors comprising 16 flats and a total area of three thousand square meters, about six years ago. 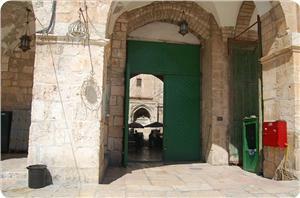 However its Palestinian owners have managed to restore it in 2008 after obtaining a judicial order in their favor. 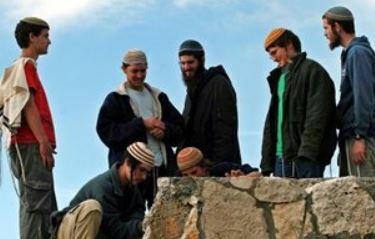 Following the court's order to evacuate the building, the settlers organized revenge attacks against Palestinian properties. Dozens of Palestinian houses were burned and violent clashes erupted causing several injuries among the residents. Since that time, the Israeli authorities have refused to hand over the building to its owners in violation of the court's order. In September 2012, the Israeli Central Court issued a decision to hand over the Palestinian house to the Israeli settlers, where the Palestinian owners submitted an appeal to the Supreme Court demanding to cancel the Central Court's order. Clashes erupted Monday between Palestinians and Israeli soldiers following an Israeli raid on the old city of Nablus, leading to the injury of two and the arrest of four others, according to security sources. They told WAFA that a number of Israeli military jeeps raided the area looking to arrest people, searched and tampered with the contents of several houses before arresting four Palestinians between the ages of 20 and 27 years. Two Palestinians were injured during the raid; one was struck in the legs and arms by a bullet's metal fragment and the other was beaten by soldiers, causing him several bruises throughout his body. They were transferred to hospital for treatment. Two explosions rocked eastern Gaza on Monday morning as they targeted a number of Israeli military vehicles and bulldozers. Eyewitnesses and security sources told the PIC reporter that the first explosion targeted an army bulldozer then the other targeted army vehicles that rushed to the scene. They said that the first blast was an explosive device but they could not determine the nature of the second one, adding that heavy smoke was seen billowing from the scene of the explosions. The PIC reporter pointed to heavy presence of Israeli soldiers in the area in addition to helicopter gunships and reconnaissance planes. Israeli forces raided a Nablus village late Sunday and closed a main checkpoint after a settler car came under gunfire, locals said. Israeli soldiers raided the village of Beta and closed Huwwara checkpoint after reports of gunfire targeting a settler car in the area. Israeli forces fired flare bombs and live bullets, witnesses said. Locals said a settler was wounded in the shooting. Israeli troops have shot live bullets at Palestinians in Jenin refugee camp in the occupied West Bank. 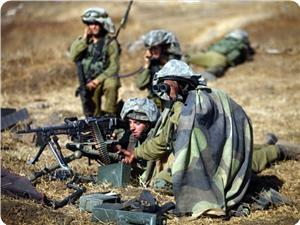 The incident occurred on Monday after Israeli troops surrounded the camp. 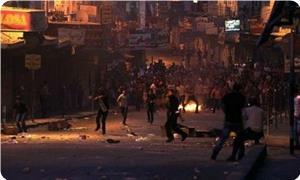 Clashes have also broken out in the northern West Bank village of Beta, after Israeli soldiers stormed the area. Israeli forces have also closed main checkpoints leading to the city of Nablus. Recently, the occupied Palestinian territories have seen a rise in cashes and protests. Five Palestinians have been killed in Israeli army raids on Qalandiya and Jenin camps over the past two weeks. On August 31, a Palestinian teenager, Karim Sobhi Abu Sbeih, died of wounds he had sustained during an attack by Israeli troops on the refugee camp. On August 26, Israeli troops shot dead three Palestinians in the Qalandiya refugee camp in the West Bank and wounded dozens of residents mostly by live rounds. The shooting occurred after dozens of Israeli troops attacked the refugee camp, north of East al-Quds (Jerusalem), to arrest a former Palestinian political prisoner. The Israeli military often raids Palestinian houses in the West Bank to arrest activists and civilians, mostly without any charges. 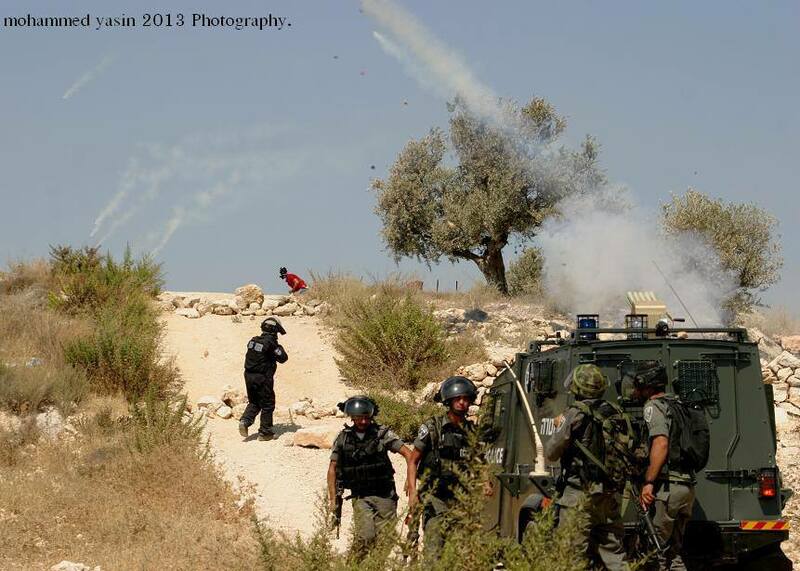 Monday evening [September 2, 2013] Palestinian medical sources have reported that dozens of residents have been treated for the effects of teargas inhalation after several Israeli military jeeps invaded Sanour village, south of the northern West Bank city of Jenin. The sources said that dozens of local youths hurled stones at the invading soldiers who fired dozens of gas bombs, concussion grenades, and rubber-coated metal bullets. All wounded residents received treatment by local medics; the army withdrew later on, no arrests have been reported. Earlier on Monday, soldiers invaded Fasayel Al-Foqa village, in the Jordan Valley, and demolished a home that belongs to resident Abdul-Latif Rashayda, before heading to his Chicken Farm in a nearby area and demolishing it. Dozens of residents tried to stop the soldiers from demolishing the properties, but the army called for more backup and fired gas bombs at the residents forcing them to leave. 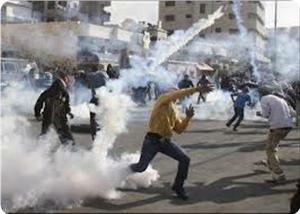 Five Palestinians were injured Sunday in clashes with Israeli forces near Jalazun refugee camp north of Ramallah. Clashes erupted when young men and teenagers tried to stop Israeli settlers from Beit El settlement throwing stones at Palestinian cars near the camp, a Ma'an reporter said. 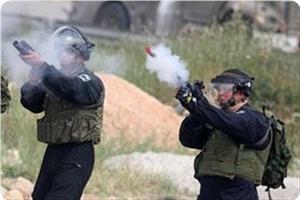 Israeli forces arrived and fired rubber-coated steel bullets at the Palestinians, the reporter said. An Israeli military spokeswoman said around 20 Palestinians and 20 Israeli civilians hurled rocks at Israeli security forces. She said forces used riot dispersal means but these did not include rubber bullets. It is the third consecutive day of clashes in the area. Palestinian medical sources have reported that five Palestinians were shot and wounded, on Sunday evening [September 1 2013], during clashes with Israeli soldiers near the Al-Jalazoun refugee camp, north of the central West Bank city of Ramallah. The clashes took place after a number of extremist Israeli settlers from Bet El settlement, hurled stones at Palestinian vehicles driving on the Ramallah-Nablus road. Local residents clashed with the settlers, and when the soldiers arrived at the scene, they opened fire at the residents. The camp witnessed repeated clashes over the past three days due to escalating violations carried out by Israeli soldiers and settlers in the area. The clashes are concentrated in an area that is nearly 100 meters away from the Israeli “Civil Administration Office DCO” run by the military in the occupied territories. Clashes Sunday erupted between Palestinians and Israeli forces following an army raid on the town of Beit Ummar, north of Hebron, according to a local activist. 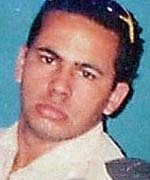 The coordinator of the popular committee against settlements and the segregation wall, Mohammad Awad, told WAFA that forces raided the town at dawn and arrested two Palestinians, including a released prisoner, age 23 and 21 after raiding and searching their homes, causing financial damage to the house contents. Clashes broke out following their arrest; forces fired tear gas canisters toward the provoked Palestinians, causing several suffocation cases among them. Violent clashes broke out on Friday evening between dozens of Palestinian young men and Israeli troops in different areas of Al-Khalil city. Local sources reported that the Israeli occupation forces (IOF) stormed Bab Azzawiya area and embarked on firing tear gas grenades and rubber bullets at a crowd of young men, which triggered clashes between the two sides. The sources added that similar clashes erupted in the southern area, the Karantina area, Al-Kassara street and Jabal Johar area. Several ambulances and military vehicles were seen near Kiryat Arba settlement to the east of Al-Khalil, according to eyewitnesses. In a separate incident, the IOF detained last night four Palestinian kids under age 15 for several hours during raids on homes in the Old City of Al-Khalil. They also handed four Palestinian young men summonses for interrogation from the Shin Bet during a night campaign in Al-Aroub refugee camp of Al-Khalil. Israeli Soldiers attacked the weekly nonviolent protest against the Annexation Wall and settlements, in Bil’in village, near the central West Bank city of Ramallah, leading to dozens of injuries. Soldiers attacked reporters and detained an international journalist. 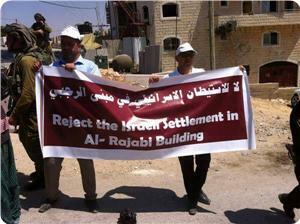 Dozens of residents, local political leaders, Israeli and international peace activists participated in the protest. This week’s protest comes in solidarity with the Palestinian detainees, held by Israel, and facing ongoing abuse and violations. Carrying Palestinian flags and signs, the protesters marched through the village chanting for national unity, liberation and the freedom of all detainees. Local sources said that the soldiers fired rubber-coated metal bullets, concussion grenades and gas bombs as soon as local, Israeli and international, nonviolent protesters arrived near the Annexation Wall, separating the residents from their lands. Six Palestinians have been shot by rubber-coated metal bullets, and gas bombs, while dozens have been treated for the effects of teargas inhalation. Medical sources said that resident Mohammad Abu Rahma, 19, was shot by a rubber-coated metal bullet in his right foot, Kifah Mansour, 35, was shot by a rubber-coated metal bullet in the left thigh, Mohammad Hamad, 22, was shot by a rubber-coated metal bullet in the abdomen, Ahmad Abu Rahma was shot by a gas bomb in the left arm, and Mohammad al-Khatib (only eight years of age) was shot by a gas bomb in the abdomen. The Popular Committee against the Wall and Settlements stressed on the importance of national unity and steadfastness against the aggression of the Israeli occupation. The Committee denounced the killing of three Palestinians who, on Monday at dawn [August 26] were shot by live fire of an Israeli undercover unit that infiltrated into the Qalandia refugee camp, north of Jerusalem. Dozens of residents have been injured. Dozens of nonviolent protesters suffered the effects of teargas inhalation, and received the needed treatment by local medics, despite the fact that the army tried to disrupt their work. Furthermore, the soldiers violently attacked local and international journalists in the area, and detained an international journalist. In related news, the soldiers soldiers used tear gas, chemical water and rubber-coated steel bullets to attack the weekly protest in the nearby village of Ni’lin. Residents and their international and Israeli supporters, managed to reach the wall. 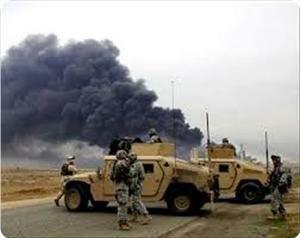 Dozens of soldiers also stormed the village and fired gas bombs into resident homes. Many were treated for the effects of tear gas inhalation. In the al Ma’sara village, near Bethlehem, soldiers stopped the villagers and their supporters at village entrance then forced them back using rifle-buts and batons to push people back, no injuries were reported. Despite the tear gas attacks and unjustified violence used by the Israeli occupation forces (IOF), thousands of Palestinian and foreign activists participated on Friday afternoon in their peaceful marches against Israel's wall and settlement activities in different West Bank areas. Dozens of Palestinian and foreign activists in Masarah village, south of Bethlehem, sustained tear gas injuries as they approached an area near the segregation wall. In Kafr Qaddum village to the east of Qalqiliya city, the IOF also subdued dozens of Palestinian and foreign protestors demanding an end to the Israeli closure of the main road in the village. Palestinian and foreign protesters also clashed with Israeli soldiers who targeted them with a hail of tear gas grenades in the villages of Bil'in and Nabi Saleh near Ramallah city. During these marches, the protestors chanted different slogans condemning the Israeli violations in the occupied Palestinian lands and calling for restoring the national unity and resisting the occupation. Some of the banners that were carried by the protestors denounced the Israeli violations at the Aqsa Mosque and others expressed solidarity with the Palestinian prisoners, and with the Egyptian and Syrian peoples. 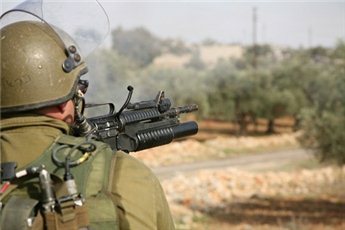 Palestinian medical sources have reported that several residents have been treated for the effects of teargas inhalation while others were shot by rubber-coated metal bullets fired by Israeli soldiers during clashes with local residents at the main northern entrance of the town of Ar-Ram, and at the Qalandia terminal, north of occupied Jerusalem. The Palestinian News & Info Agency (WAFA) has reported that dozens of youths clashed with Israeli soldiers trying to invade Ar-Ram town, and that the soldiers fired concussion grenades, gas bombs and rubber-coated metal bullets causing dozens of injuries. In Qalandia, the soldiers fired gas bombs at dozens of cars and residents heading to a wedding, causing dozens of residents to suffer the effects of teargas inhalation. The attack led to clashes between local youths and soldiers stationed at the Qalandia terminal. On Monday at dawn [August 26 2013] undercover forces of the Israeli army infiltrated into Qalandia, shot and killed three Palestinians, and injured dozens of residents including at least 15 who were shot by live rounds of live ammunition. Medical sources said that resident Jamal Jahjouh, 22, a former political prisoner, was killed by rounds of live ammunition fired by Israeli soldiers invading the camp. Earlier on Monday at dawn, two Palestinians, identified as Rubin Ziad, 32, and Jihad Aslan, 19, have been shot and killed by live rounds fired by the army. A Palestinian farmer was shot and injured on Friday East of Jabalia north of the Gaza Strip, medics said. Israeli forces opened fire at Yousef Saad, 20, injuring him in the thigh. He was taken to Kamal Edwan hospital in Jabalia. An army representative did not immediately return calls. The Popular Resistance Movement called on Palestinian resistance factions in Gaza to get ready for any possible Israeli military aggression against the strip. Khaled Azbat, the spokesman for the movement, said that all facts on the ground prove the Israeli intentions to launch a military aggression against the strip, under Arab and international approval, in order to liquidate the Palestinian armed resistance especially. The spokesman stressed the need to unite all national efforts on the ground and to postpone any political disagreement considering the prevailing atmosphere in the region. The resistance weapons must remain directed against the Israeli enemy to thwart any attempt to target Palestinian resistance, he said, adding that the enemy knows well the resistance's ability to hit Israeli targets. Dozens of Israeli soldiers surrounded, during early night hours, the Aida refugee camp, north of the West Bank city of Bethlehem, and invaded it leading to clashes with local youths. Local sources in the camp have reported that the army fired dozens of gas bombs and concussion grenades at the protesters, and at a number of homes at the main entrance of the camp. 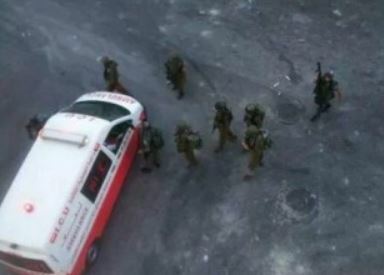 The Palestine News Network (PNN) has reported that the army stopped a number of ambulances trying to enter the camp to provide medical treatment for wounded Palestinians, and searched them. The invasion just comes two days after the army invaded the camp, and clashed with dozens of local youths who were protesting the death of three Palestinians who were killed by army fire in Qalandia refugee camp, north of occupied East Jerusalem. The three were killed when undercover forces of the Israeli army infiltrated into the camp to arrest a Palestinian. One of the slain Palestinians worked for the United Nations Work and Relief Agency (UNRWA). Later in the day, the army invaded the camp again, and kidnapped more than 35 Palestinians, shot and injured several Palestinians during ensuing clashes. Palestinian medical sources have reported Thursday [August 29, 2013] that two resident have been injured in Qasra village, near the northern West Bank city of Nablus, after being attacked by a number of extremist Israeli settlers. The sources said that the two suffered cuts and bruises to various parts of their bodies, and received the needed medical treatment. The two wounded residents have been identified as Mohammad Shihada and Mahmoud Awwad. Ghassan Daghlas, Palestinian official in charge of Israeli Settlements File in the northern part of the West Bank, stated that the settlers came from the illegal outpost of “Yesh Kodish”, adjacent to Qasra. 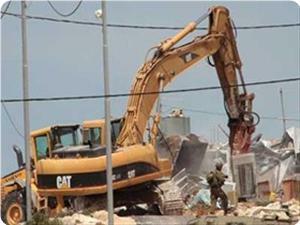 Daghlas added that the settlers also stole a tractor owned by a villager of Qasra, the Maan News Agency has reported. A few months ago, extremist settlers raided the village, during late night hours, and burnt six Palestinian cars. The Israeli forces raided on Wednesday the house of Mohammad Qaraeen “Abu Nader” in the neighbourhood of Jabal Al-Mukabber in the city of Jerusalem, under the pretext of searching for weapons. Abu Nader Qaraeen told Wadi Hilweh Information Center in a phone call that he was surprised when a large Israeli force including police, Special Forces and dogs raided his home under the pretext of searching for weapons. He pointed out that they also searched his son’s house, the parking garage, the house garden and the roof. He explained that the forces detained all family members in one room to carry out the search warrant which lasted for three hours in which they searched the rooms of both houses as well as their facilities; they also ruined the furniture and properties of family members. Abu Nader noted that the forces withdrew from the house without finding any “weapons” knowing that they raided his house and searched it almost two months ago. 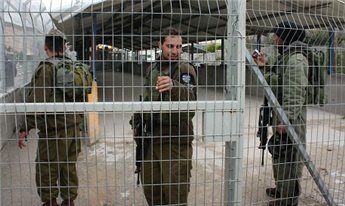 Israeli soldiers invaded on Thursday at dawn [August 29, 2013] various areas in the occupied West Bank, broke into and searched several homes, and a gas station, and kidnapped two residents. Local sources have reported that dozens of soldiers invaded the Al-Obeidiyya town, east of Bethlehem, and kidnapped one resident identified as Yahia Ismael Al-Asa, 22, and took him to an unknown destination after violently breaking into his home. Furthermore, the army kidnapped one resident, and violently attacked and beat another resident, in Hebron, in the southern part of the West Bank. Local sources said that Mos’ab Bassam Qattan, 19, was kidnapped in the Old City of Hebron, and that the soldiers claimed he did not cede to their commands to stop. 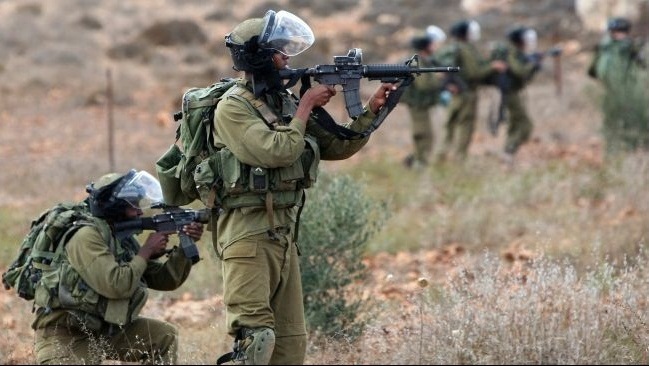 Several soldiers also violently attacked a resident, identified as Yousef Khaled Shawamra, 20, near the Al-Fawwar refugee camp junction, south of Hebron. In addition, several soldiers invaded Jalqamous village, near Jenin, broke into and searched the home of Ahmad Ghassan Al-Hajj causing excessive property damage. They also invaded a gas station in near Jenin, and violently searched it. Israeli occupation forces (IOF) stormed the town of Assira, north of Nablus, in the late hours of Wednesday night and raided several neighborhoods. Other IOF units tightened the military restrictions at the Israeli checkpoints deployed west and south of Nablus city where they searched the passing Palestinian vehicles. No arrests were reported in either raid. Meanwhile, IOF soldiers stormed Wednesday different areas in al-Khalil southern West Bank and arrested a Palestinian citizen. The occupation forces raided Taffuh area west of al-Khalil and broke into a number of houses where they summoned three Palestinian liberated prisoners. In Aroub refugee camp, Israeli forces violently stormed the citizen Rabhi Jawabreh's house and destroyed furniture and other possessions. Israeli patrols also stormed Halhul and Beit Ummar, northern al-Khalil, where temporary military checkpoints were set-up. Furthermore, Israeli forces had been extensively deployed in the area near Gush Etzion settlement, built on Palestinian lands, following firing at an Israeli bus in the same area. Violent clashes broke out between Palestinian young men and Israeli soldiers in Al-Khalil city on Wednesday evening, a day after a deadly attack in Qalandiya refugee camp sparked widespread outrage in the occupied West Bank. Eyewitnesses told the Palestinian information center (PIC) that angry young men hurled stones at Israeli soldiers, who responded with firing a hail of rubber bullets, and tear gas and smoke grenades. The events took place in the vicinity of the Ibrahimi Mosque, Al-Aroub refugee camp and different neighborhoods of the Old City of Al-Khalil. The clashes kept raging until a late hour after midnight, especially after the attacking Israeli soldiers persisted in their suppression. One of the smoke grenades fired by the soldiers fell inside a house in Al-Aroub refugee camp, north of Al-Khalil, causing it to catch fire, according to eyewitnesses. Defense for Children International Palestine confirmed today that four Palestinian teenagers sustained injuries during violent clashes that erupted after Israeli forces raided Qalandia refugee camp, outside Ramallah, early Monday morning. Undercover Israeli forces entered the Qalandia camp to arrest a resident and called in reinforcements when they faced heavy resistance. Israeli soldiers shot and killed three Palestinian men and injured more than a dozen others, among them four boys ages 16 and 17, according to witnesses and news reports. Three of the teenagers that DCI-Palestine visited had gunshot wounds to their left leg. While receiving first aid, one of them found out he had been shot three times in the leg. The regulations allow soldiers to use live ammunition “only under circumstances of real mortal danger,” according to a recent report by B’Tselem, [PDF] an Israeli human rights group. In May 2013, the average number of civilians injured by live ammunition or rubber-coated bullets more than tripled compared to this time last year, [PDF] according to the United Nations Office for the Coordination of Humanitarian Affairs (OCHA). 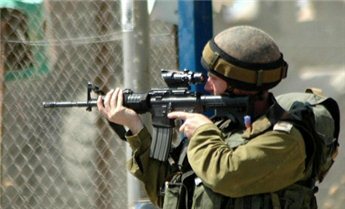 Senior Ranking Officers have stated [PDF] that violations of Israeli military open-fire regulations are “exceptions rather than the norm.” However, DCI-Palestine documentation shows 42 percent of children were shot in the face or head, 21 percent in the arm or chest and 17 percent in the stomach.